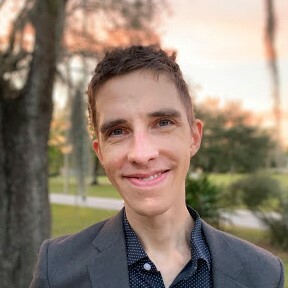 Nathan R. Johnson is an Assistant Professor of Rhetoric in the Rhetoric and Composition program at USF. He conducts research in the areas of rhetoric theory, memory, and infrastructure, and he examines how space and time change the qualities of human communication. He teaches graduate courses on rhetorical theory and history, science and technology studies, and memory. Johnson is a recipient of the Rhetoric Society of America’s Fellows’ Early Career Award, the 2018 Alice G. Smith Lecturer, winner of the National Communication Association’s Distinguished Book Chapter Award for Philosophy of Communication, and nationally recognized for his contribution to the award-winning book Rhetoric and the Digital Humanities . He has been distinguished as one of the University of South Florida’s Outstanding Undergraduate Teachers. Johnson has published in enculturation: a Journal of Rhetoric, Writing, and Culture , the Journal of Technical Writing and Communication , and the Journal of the Association for Information Science and Technology , among numerous other venues.